IN A STUNNING VISUAL PRESENTATION, UCLA Professor of Geography and Earth and Space Sciences, Dr. Laurence Smith, forecasts what our planet will be like in the year 2050, distilling his 15 months of research traveling the Arctic Rim with cutting-edge research into four global forces: demographic trends, natural resource demand, climate change, and globalization. The result is both good news and bad: Eight nations of the Arctic Rim (including the U.S.) will become increasingly prosperous, powerful, and politically stable, while those closer to the equator will face water shortages, aging populations, and crowded megacities sapped by the rising costs of energy and coastal flooding. 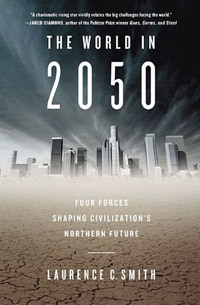 The World in 2050 combines the lessons of geography and history with state-of-the-art model projections and analytical data—everything from climate dynamics and resource stocks to age distributions and economic growth projections. What if you could travel the world to ask scientists, artists, spiritual leaders, gurus, and everyday people why we exist? Documentary film-maker Roger Nygard (best known for his films about Star Trek fandom, Trekkies 1 and 2) did just that, conducting over 170 interviews to explore The Nature of Existence. In 1998, at eleven years of age, a young girl named Emily Rosa published a study in the Journal of the American Medical Association. Emily had conceived and executed an experiment that challenged the basis of one of the most accepted “alternative” healing procedures known: Therapeutic Touch (TT). She became the youngest person ever to have a research paper published in a peer reviewed medical journal. In this week’s feature article, Larry Sarner (chairman of the National Therapeutic Touch Study Group) discusses Emily Rosa’s investigation. The original Rosa paper can be found on the JAMA website and the raw data can be found on Quackwatch, a site operated by senior co-author Stephen Barrett. 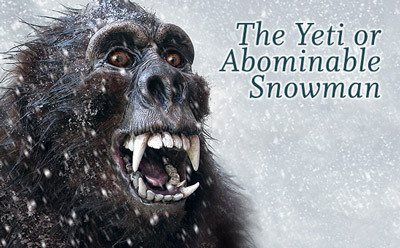 This article appeared in Skeptic magazine volume 6, number 2 in 1998. APRIL FOOL’S DAY, 1998, DAWNED CLEAR AND WARM in New York City. Three people, with an ungainly piece of cardboard and a towel, exited a hotel overlooking Central Park and clambered into a limousine marked “Emily.” They picked their way through traffic towards Rockefeller Center and an appearance on NBC’s Today Show, the first of many that day. Despite the weather, the Rosas were in the eye of a whirlwind of activity and controversy which continues only slighted abated today. The appearances Emily and her parents made on April 1st were only the beginning. Michael Shermer, publisher of Skeptic, later made a post on the internet to announce “Shermer on 20/20, Emily Everywhere!” That was seemingly true. At latest count, 100 distinct print pieces appeared, including the front pages of the New York Times and Los Angeles Times; Associated Press, UPI, and Reuters syndicated stories (reprinted countless times, often on front pages). Time reported it as “Emily’s Little Experiment” and People magazine’s title, “Touchy Touchy,” revealed the sensitive nerve it had pressed. 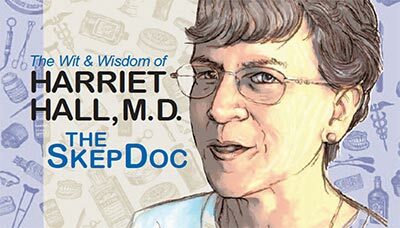 There was immediate coverage overseas in The Lancet and the British Medical Journal, and numerous op-ed pieces and letters to the editor appeared everywhere. Television coverage came on all of the evening network news broadcasts, the morning shows, special reports on Fox, CNN, and MSNBC, local coverage, and talk show appearances in Canada and Hollywood, not to mention Scientific American Frontiers coverage the previous November. National Public Radio’s All Things Considered made the initial break of the story, and at least eight talk and news interviews/stories followed on local and syndicated radio, including a blurb on Paul Harvey’s commentary. Out in cyberspace, at least 12 web sites have been discovered dealing with the experiment, and Usenet newsgroups logged over 500 postings, along with several lively discussions on privately run “lists.” So ubiquitous was the coverage that one exasperated TT supporter opined in cyberspace that what he termed the “Emily Event” was necessarily an orchestration by an evil conspiracy of Big Media, Big Science, Big Medicine, and Big Pharmaceuticals. Nowhere in TT advocacy or literature will one find an unambiguous statement about the logical underpinnings of TT. Indeed, there is outright hostility to such reasoning, often disparagingly referred to as “reductionist” or “linear” thinking. But withoutlogic, argument is not possible. So it is necessary in order to engage in rational discourse for a set of postulates to be identified which makes TT even feasible. By the Principle of Charity, one can derive from a fair reading of TT advocacy a minimal and sufficient set of assumptions inherent in the practice of TT. Objections to critical thinking notwithstanding, TT as a therapy is necessarily predicated on five postulates (assumptions). It is necessary and sufficient that all five be true for TT to be a “valid” practice. Thus, it is possible to “disprove” the practice of TT by showing through experiment that any one of the postulates contradicts reality in some way. One way of doing that is to show that a given postulate predicts certain results under a given set of experimental conditions (“testability”). If actual experimental results are other than as predicted, then the postulate is not real, and neither is the practice of TT. That is what the Rosa experiment did for Postulate 3. THE EXISTENCE POSTULATE. TT is a widespread (primarily nursing) practice predicated upon a belief in the existence of a “human energy field.” This field may be too esoteric or “subtle” to be capable of measurement or detection by conventional technology. THE ETIOLOGICAL POSTULATE. The HEF is postulated as a physical reality that permeates a human body and extends beyond it. Disease, illness, injury, or discomfort are manifest in the HEF as “differences” (disturbances, imbalances, congestion, or the like). Also, the elimination of such differences in the HEF either returns the body itself to health or removes impediments to the body’s own healing processes. THE PERCEPTIBILITY POSTULATE. Each person’s HEF is perceptible by any other person, especially with the intention to do so, though it may be necessary in individual instances for the other person to be trained to recognize the perceptions as HEF-related. In particular, differences in an HEF can be perceived, thereby detecting the presence (and with refinement, the locale) of disease, illness, injury, or discomfort. THE MANIPULABILITY POSTULATE. One person can effect changes in another person’s HEF. Those changes can be controlled by the changer’s intentions, though training may be necessary to allow selection of the proper intentionality for accomplishing desired ends, such as the elimination of differences. THE MANUAL POSTULATE. A practitioner’s hand alone is an effective and reliable means for the perception and manipulation of the HEF of another person. Coupled with the proper intentionality, healing can occur through manual intervention in the HEF. Conspiracy theories aside, was the Emily Event all media hype, or did it have a wider and enduring importance? One hopes it has the latter, but only time will tell. Despite the uncertainty of the outcome, the nature of its importance is possible to outline. First, it shows a way for scientific medicine and nursing to deal with pseudoscientific proposals for practice, such as TT. Second, it vividly demonstrates the effectiveness of capturing the public imagination for a cause, even if that cause is something as fundamentally cerebral as skepticism and critical thinking. For some time, scientifically-based medicine has been on the defensive from an onslaught of pseudoscientific, non-scientific, and even anti-scientific practices. The proponents of “alternative,” “complementary,” and now “integrative” medicine have been prying for years at openings in the scientific “establishment.” Having found a few weaknesses — not the least of which is political — their persistence is paying off. Emboldened by a lack of effective sanctions against them, many people whose reputations would have been destroyed by being labeled as charlatans and quacks not only openly promote their “alternatives,” but also feel free to attack their scientific detractors as cranks and reactionaries. The growth of anti-reason and anti-science in medicine is as much the consequence of a lack of response by scientific medicine as it is of anything else. that it was literally child’s play to do that unmasking. This “Emperor’s New Clothes” story was not lost on the media when they discovered it. In fairness, it was not lost on the medical establishment, either, who published it, setting off the event. But as dramatic as it was, the Emperor aspect should not obscure the way in which the unmasking was done — by reporting good science (as JAMA editor George Lundberg characterized it), albeit long overdue. In other words, the Emily Event happened because scientific medicine finally did what it is supposed to do — science. TT practitioners reacted to Emily’s achievement with a visceral response. Most were ill-informed or logically fallacious (see below). Unable to refute the science itself, the attacks have now settled upon a single theme: that the Rosa paper (and JAMA) went too far in using a single experiment to “disprove” TT. That theme gets to the heart of the medical importance of the Emily Event. The original experiment did not set out to debunk TT, nor did the paper claim it. In actuality, however, TT was debunked — not as a refutation of the Human Energy Field concept (as erroneously claimed by Lundberg in a note accompanying an abstract of the article). Instead it discounted TT as a healing modality by mounting an empirical assault on the alleged basis for TT practice, i.e., on its five “postulates,” or rather on one of them. TT practice, as a “unique and efficacious” modality (the justification for practice), rests on its postulates in the following manner: The hands can be used to manifest a TT practitioner’s intention to heal by detecting and eliminating differences in the HEF of a patient, thereby either returning the patient directly to health or removing impediments to the healing processes of the patient’s own body. It can be readily seen that if any one of the postulates can be shown to be logically invalid or to contradict reality, then the TT hypothesis falls. The truth or reality of the others would then be irrelevant. Thus, if the HEF can be shown not to exist, contradicting the Existence Postulate (see point 1 in sidebar above), then TT practice would necessarily be shown as not a unique intervention. If the hands can be shown to be an unreliable means of effecting intentional changes to the health of a patient, contradicting the Manual Postulate (see point 5 in sidebar above), then the TT hypothesis would necessarily fall. And so on. They have had the wrong handle on the logical problem. Even if the clinical studies demonstrated unequivocally the reliability and efficacy of TT’s hand-waving (which they do not), it still says nothing about the truth of the other postulates. Because Emily’s experiment utilized practitioners’ hands, it appears that it was a test of the Manual Postulate. That has led many of TT’s defenders to attack the paper for ignoring the “numerous” clinical studies which would appear to contradict Emily’s results. It has also led some TT skeptics to attack the experiment for not being double-blinded (a necessary feature in clinical studies). Regardless of appearances, however, Emily’s little experiment was not a test of the Manual Postulate. The Rosa paper reviewed the clinical studies extensively (and their mixed results). Logically, it did not need to do so, however. Those studies — and even double-blinding — were irrelevant to the logical argument being made in the paper. Emily’s experiment is simple enough for anyone to try. 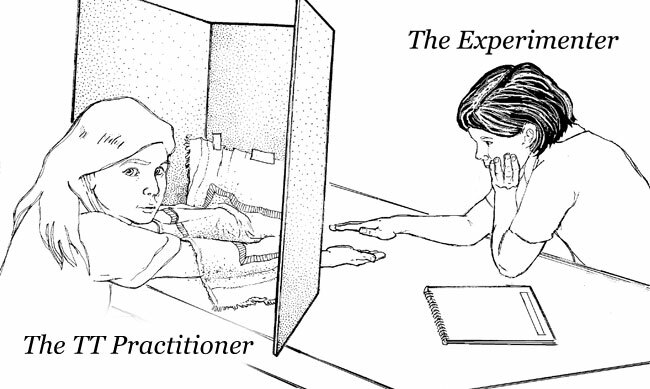 The TT practitioner is shielded from visual contact with the experimenter by a cardboard barrier. A towel prevents peeking through the armholes. A coin is tossed to determine which one of the practitioner’s hands the experimenter’s hand will be hovered over. The practitioner states which hand detects the experimenter’s human energy field (HEF). What the Emily experiment was in fact was a test of the Perceptibility Postulate (III). It was a refutation of the notion that practitioners can perceive an HEF under conditions where they should have been able to do so. The power of Emily’s experiment was that chances were vanishingly small that the Perceptibility Postulate could be true if the experiment turned out as it did. That observational result constitutes a “refutation,” which leads inescapably to the inference that the TT hypothesis falls. And that in turn leads to the conclusion, explicitly made in the Rosa paper by its senior author, Stephen Barrett, MD that “the further professional use of Therapeutic Touch is unjustified.” It is that reasonable conclusion which apparently was compelling enough for the editorial board of the Journal of the American Medical Association, after an especially prolonged and intensive peer-review, to publish the study, despite its origin in a child’s science-fair project. That origin, of course, is what captured the widespread attention of the media and medicine-watchers world-wide. And it is the magnitude of that attention which particularly disquiets TT proponents and alternative-medicine advocates, for it brings to light not only the good science of Emily’s experiment, but also the contrast which it makes with the paucity of fundamental and unequivocal evidence for TT. That leads to the lesson that medicine should take away from the Emily Event: don’t ignore this stuff. 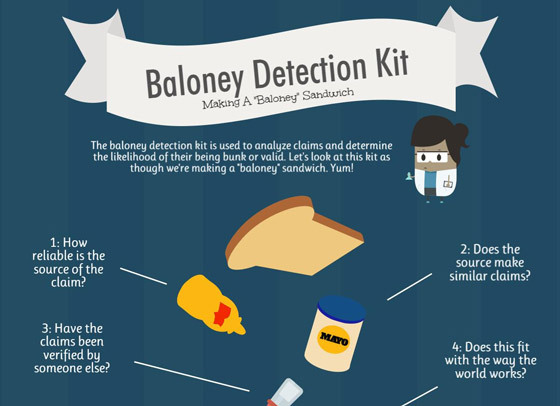 The only way for quackery to succeed is for good scientists to do nothing. Don’t just attack it — refute it. True, it’s a Herculean task (there are an infinity of ways for people to be wrong), and not everyone is suited to do it, but someone must. The medical importance of the Emily Event rests with the change that may come about as a result. The most obvious and measurable change will be in the teaching and practice of TT. Noting the public visceral reaction to the scientific disproof of TT should cause deans of nursing to take a second look at their curricula and weed out TT or analogous kinds of programs. At the very least, TT should be relegated to the “research” back rooms of nursing academia, which it never should have left in the first place. It would appear, then, that the Human Energy Field is a form of electromagnetism composed of tachyons. TT practitioners are able, according to this premise, to alter their perceptions by increasing the vibrational frequencies in their beings to such an extent that they can detect tachyons. Many physicists would find this premise rather astonishing. The theoretical basis, existence, and detection of tachyons has long eluded them. Perhaps it might be wise for the Office of Alternative Medicine to pass future TT proposals through Los Alamos before funding them. Since the Rosa paper poses a direct threat to many with vested interests in TT, those interests have advanced specious arguments to discredit the paper and its conclusions. 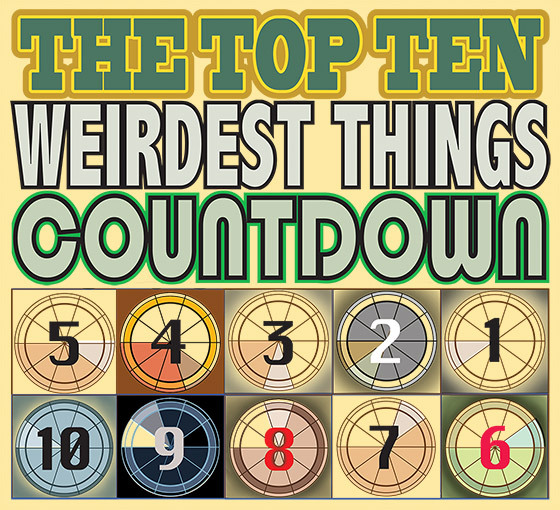 Below is a catalog of the top 10 objections made by TT apologists, with responses. 10 Emily’s experiment was worthless because it wasn’t doubleblinded. The authors are biased against TT and any experimental results reported by them must be discounted. Emily’s parents put her up to this so they could destroy TT. Just how was this bias supposed to have its effect on the experimental outcomes? Yes, it is important to control for “experimenter bias,” but not foolishly so. You don’t do it just to be doing it, there must be a reason for doing so. Critics have yet to come up with any valid reasons for double-blinding, and some of the reasons put forward by critics are more bizarre than what was being tested. (For example, that Emily could stop the spinning of a coin by holding her hand several inches above it.) 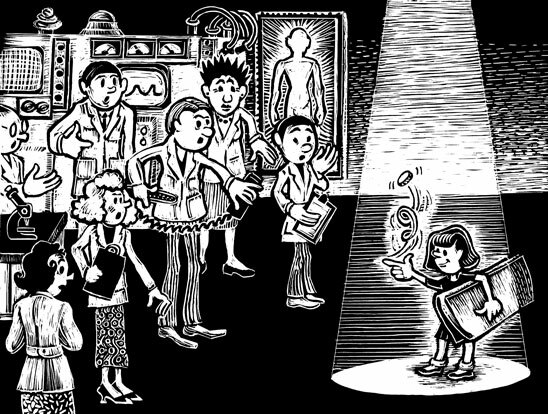 Double-blinding is compellingly important in clinical tests, but much less so in other types of experimentation. Emily’s controls were sufficient for the experimental situation. It was a simple binary test. Either it was the right hand or the left. Either the subject said right or left. There were no shades of meaning or correctness to influence. As for Emily’s parents putting her up to this, Emily herself bristles at this as it takes away credit from her she rightfully believes is hers. Her parents acted as teachers before and during the test, and helped her analyze and understand the results afterwards. They have raised her in an environment that puts a premium on the efficacy of the scientific method (as opposed to “other ways of knowing”), and they make no apologies for that. Emily’s mother is an RN with a professional (and legal) responsibility to report substandard practice to responsible authorities within her profession. This responsibility extended to the results of Emily’s test: it would have been professionally irresponsible for her to suppress or fail to report it. 9 The statistics were flawed. In particular, the number of subjects was too few to warrant the conclusions reached by the authors. Practitioners were expected to get 100% right, which is unreasonable. The study did no such thing. Logic “expected” practitioners to get 100% right since they claim to be able to manipulate consistently human energy fields for patient benefit, but the statistics analyzed the results only on the basis of getting 67% or 75% right. Yet subjects failed to do better than what would be expected from mere guessing. Indeed, the original protocol declared that a practitioner would have “passed” the test if she got 8 out of 10. Only one did that well, and in a retest got 6 out of 10. Emily had more practitioners in her study than the vast majority of previous TT studies had patients for theirs. The study’s statistics take into account the size of the sample. Thus, as reported in the paper, if TT practitioners had the ability to feel an energy field with their hands at least two out of every three times they try, the probability of missing it with Emily’s test (even with only 21 practitioners) was less than 1 out of 20. If they had the ability to detect the field at least 3 times out of 4, then the chance of missing it with Emily’s test was only 3 out 10,000. 8 The practitioners were not validly screened as being truly “representative” of TT. In fact, one even reported being a practitioner for longer than TT has been around. As to being unrepresentative, in what way? All claimed an ability beforehand, all reported at least one year of experience with TT, and one had even published on TT and appeared in a teaching video. There is no “certification” process for TT practitioners, so it is not possible in testing to do anything but take their statements about their abilities at face value. In fact that was the reason why the allegedly anomalous “length of practice” was reported for one practitioner — it was the number of years stated by the practitioner herself. Assuming honesty on her part, it was likely she was reporting that she had been performing something like TT for that length of time. One point is clear after Emily’s test: from now on, reference to a “qualified TT practitioner” must be to one who can demonstrably and objectively detect a patient’s human energy field. We know of no one so qualified. 7 Emily’s field was probably all wrong for this test. She either had (a) cold or bioenergetically dead hands; (b) a wild pubescent field; (c) too perfect a field (or too healthy); (d) a field with too short a range; (e) a field so large it encompassed both hands of a subject; or (f) suppressed or misdirected her field to fool her subjects (either consciously or unconsciously). In the second go-round, subjects were allowed to first “feel” the energy field around their hands and pick a hand for her to use in the subsequent test. If they couldn’t feel anything at all at that point, why didn’t they say something? Nothing in the previous literature on TT suggests significant obstacles or limitations to the practice of TT. With this notion, the “TT Self-Assessment” procedure (where nurses familiarize themselves by feeling the energy field between their own hands) could never work. Also, in TT originator Dolores Krieger’s book she talks about her own “Emperor’s Clothes” test where you can tell the difference when a shoulder is covered with plastic and when it is not; no warning is given that this test is invalid if the shoulder is healthy (not to mention the state of the practitioner). Also, Krieger claims to feel the energy fields of apparently normal seeds, rivers, rocks, etc. (and to tell the difference between them). As for redirecting her energy, it should be remembered that Emily was performing the role of a patient in this experiment. It has long been maintained that the beliefs and attitudes of patients (i.e., the people whose fields practitioners feel) have no bearing on the effectiveness of TT practice. This argument also belies the need for double-blinding. Regardless of who was holding out the “target” hand, this argument could always be used to call the target into question. With such obviously contradictory explanations or rationalizations, the point is made for the necessity for fundamental testing, such as Emily’s. It should be noted that each of these reasons, if accepted, would lead to a fundamental untestability of the HEF premise. A failure could always be explained away. 6 This was not a test of TT, but a parlor game. What the practitioners were required to do during the experiment invalidated its applicability to TT, especially since TT is a holistic process and can’t be validly analyzed in parts. Emily’s test was not of efficacy or technique (or “healing”), but of raw ability. It’s very much like testing a surgeon to see if he can tell, without looking, in which hand the scalpel is being held. In any event, there was some movement. Emily presented her hand after each coin flip, which required relative movement between her hands and the subject’s. Both subjects and Emily had at least small movements of their hands during the trials, and some practitioners even wiggled their fingers or hands. Previous descriptions of the sensations of feeling an HEF state that the field itself is constantly in motion, and the literature states that such motion can be easily felt. Significantly, all of Emily’s subjects agreed to the protocol and none voiced any concern that the test setup would pose a problem in demonstrating their ability. The argument about TT being “holistic” is a thinly disguised attempt to get back to “outcome” (i.e., clinical) testing, where it is easier to obfuscate, ignore negative results, or explain away nonconforming data. There have been numerous clinical trials on outcomes using TT. The results are highly mixed. Some tests do not have statistically significant results, others revealed slight positive effects (though statistically significant), and several actually reported statistically significant effects, but negative (i.e., the control group did better than the TT group). Holistic practitioners’ prejudice against what they call “reductionism” (analyzing things in parts) is not shared by others in scientific medicine. 5 The conclusions reached by the authors were illogical and outrageous. Nobody ever said that feeling a human energy field was necessary to practice TT, and in fact one doesn’t need to. TT theorists have said so — consistently. Some “energy workers” now say they do not have to feel the field to be effective, but for 25 years TT practitioners undeniably have claimed to feel the HEF and to assess and manipulate it. It is the raison d’être of TT (as applied energy work). A quarter-century of conducting clinical studies and book writing by TT advocates makes it clear that (until this experiment came along) detecting the energy field was an indispensable part of TT practice. 4 It doesn’t matter how TT works. Even if it’s only a placebo, what’s the harm? TT is too valuable not to be used. How do they know it works or is truly valuable? By anecdotal evidence and “other ways of knowing” (e.g., wishful thinking, whim, insights through meditation, “grounded theory”, magic, etc.)? Sorry, science requires much more. But for the sake of argument, suppose that TT works only as placebo. How could it be ethically practiced non-experimentally on real patients? The practitioner needs to deceive the patient as to the efficacy and the mechanism of treatment (knowing full well it is only placebo). Deceit is never ethical, even with good intentions. Perhaps TT practitioners and others who argue this point are believers in the-ends-justify-the-means. Fortunately for the rest of us, responsible medical practitioners believe otherwise. Science requires much more. 3 Publication of this was a travesty. It was an insult to qualified, hard-working, grownup nurse researchers. Some of these “qualified, hard-working grownups” are not without reason for feeling threatened. Publication of Emily’s experiment is embarrassing to those with Ph.D.’s or DNS’s doing “research” in this area, many of whom actually owe their degrees to TT. It is also embarrassing to all of nursing for letting them get away with it for so long. If their research was so good, so undeniable, so revolutionary, why weren’t their theories recognized by other scientific fields long before Emily was even born? 2 JAMA published this because simple, inexpensive remedies like TT threaten the economic interests of doctors and pharmaceutical companies. They won’t publish research on things that will save consumers money. In truth, most papers on alternative medicine received by major (mainstream) journals are hopelessly poor in quality. Reading those papers that are published in the lesser journals confirms this. And, of course, there is the question of whether there is anything scientifically valid to report favorably about any alternative practice. 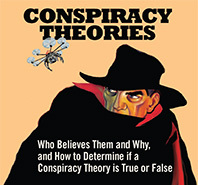 To accept the conspiratorial premise on which this argument is based, one needs to accept also that the conspiracy is not only vast, but is ubiquitous. One has to accept that there is absolutely no one of integrity at the top of the medical professions. And one must accept also that the practicing professionals are so completely impotent, ignorant, or uncaring that they are all unable even to detect the conspiracy, much less fight it to get what is right for their patients. 1 TT works, Emily or no Emily. Let’s talk about something else. And supposedly open minds slam shut. Next time the statement is made that “skeptics are closed-minded,” remember the Emily Event and consider whose minds were actually closed to evidence. Skeptics have a chance to see if immense and favorable public opinion can achieve the modest goal of rooting out of nursing an obvious and scientifically disproved wackiness. 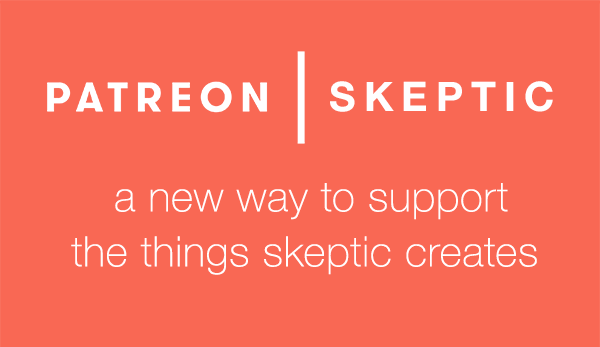 If not, then perhaps it can be fairly said that skepticism is a toothless watchdog. But if change does come, then the cause of rational thinking and the tactic of exposing nonsense to public scrutiny are vindicated and a pattern is set for tackling future targets. Skeptics now need to mobilize and press home the advantage on TT. An excellent guide to the confusions and contradictions of alternative medicine written with clarity, integrity and authority. What works? Who can you trust? What alternative cures have positive results? What medical authorities are included in their “Top ten culprits in the promotion of unproven and disproven medicine?” READ more and order the book. 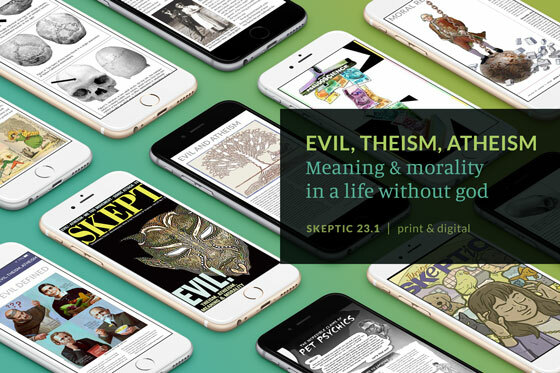 Thought Field Therapy; Nazi Medicine; Caroline Myss and Holistic Medicine Evaluated; The Faustian Bargain; Entwined Lives: Twins and What They Tell Us about Human Behavior… READ more and order the back issue. Acupuncture, alien abductions, astrology, facilitated communication, Feng Shui, hypnosis, magnetic therapy, polygraph and lie detection, prayer and healing, recovered memories, reincarnation, spiritualism, subliminal perception, Tut’s curse, UFOs and dozens more… READ more and order the books. In Michael Shermer’s November Scientific American column, he espouses the value of clear logic and rhetorical style (layered on top of the usual dollop of data) in communicating scientific ideas. In this week’s Skepticblog post, Michael Shermer reviews Cool It, a film by Bjorn Lomborg, directed by Ondi Timoner, produced by Roadside Attractions and 1019 Entertainment.